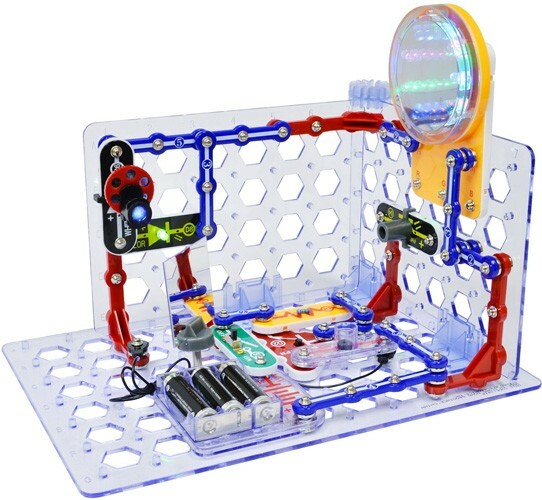 Snap Circuit 3D Illumination will drive you up the wall -- literally! New Snap Modules let you go vertical by securing your Snap Boards together in a myriad of configurations. 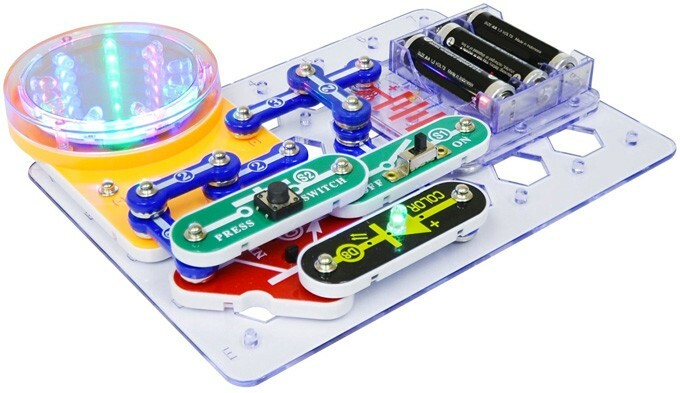 Then, use the snap-together components -- no gluing or soldering required -- to build exciting circuit projects like projectors, light tunnels, and more! 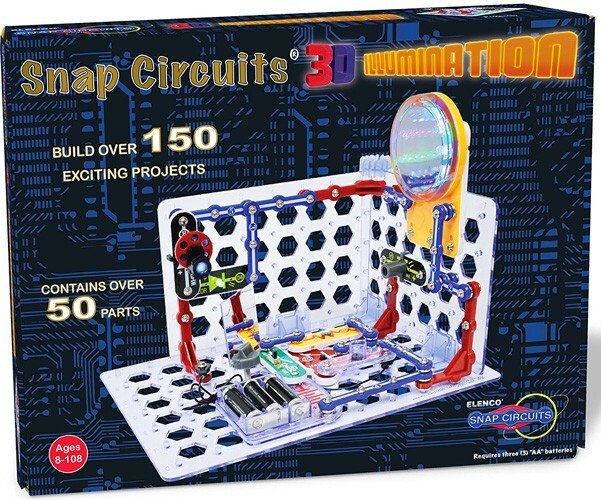 With 150 different 3D Illumination Snap Circuit projects, there's plenty to excite a budding electrical engineer. 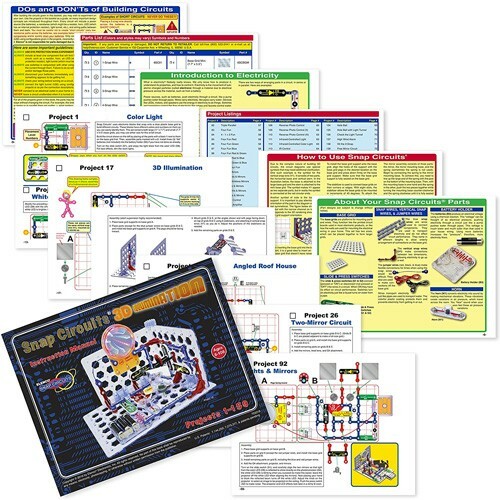 Snap Circuits is one of the most popular circuit building sets around! 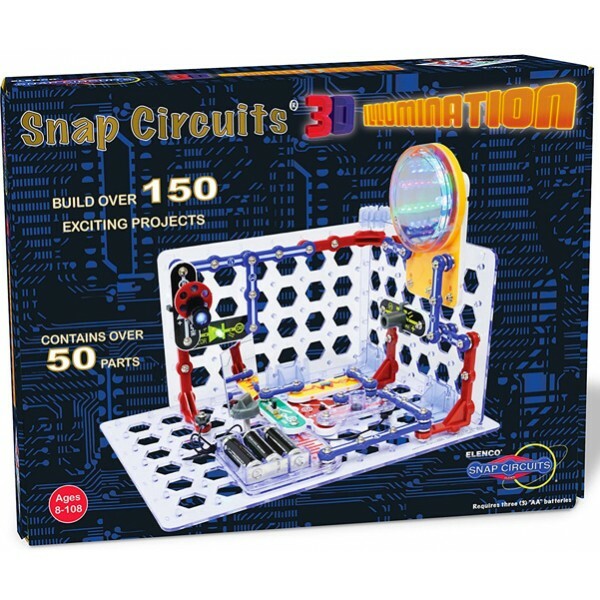 All Snap Circuits sets are compatible, so kids can combine them to create truly impressive electronic creations. Then, just snap them apart and start something new! 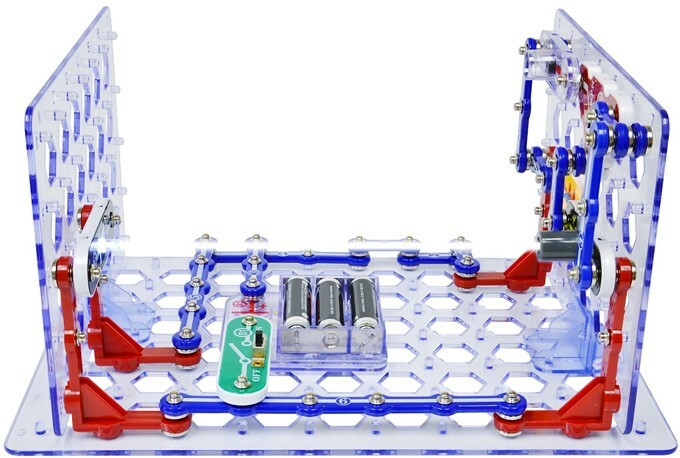 For more unique kits to foster an interest in electronics, visit our Elenco Electronics Collection.